I don't have an entry, read no dog in this fight, but a pic of the pepper a plus. Edited by wrinklenuts, 31 January 2019 - 09:22 AM. How does one get their hands on some of Khang's seeds? 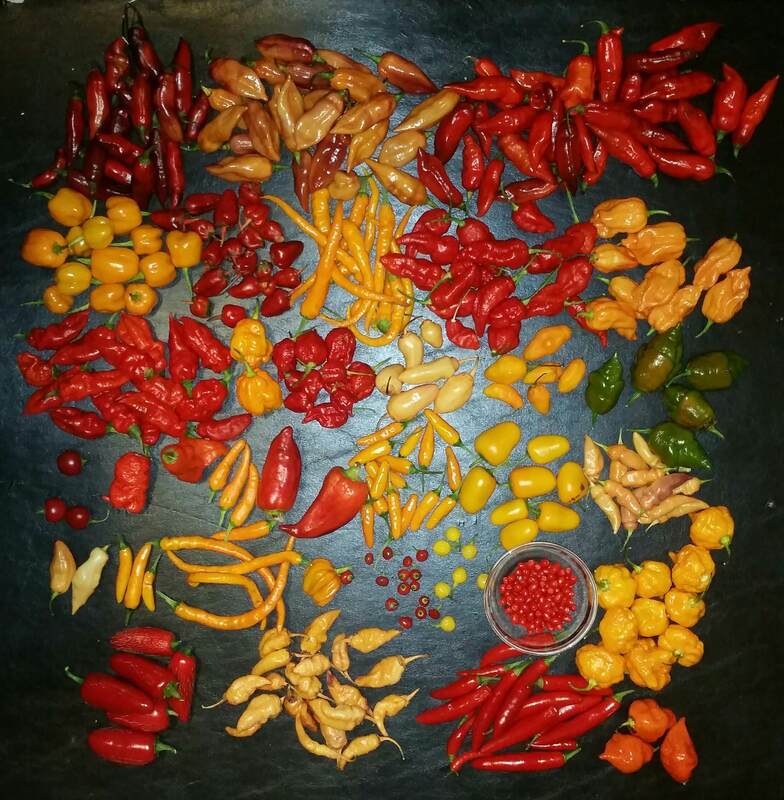 I would love to try Lemon Starrbursts and Starracha Bonnets. Edited by FITN, 31 January 2019 - 03:49 PM. Edited by rghm1u20, 01 February 2019 - 06:24 AM. Mind sharing which varieties of each went into the cross? I hope to cross several of these this grow using different varieties of each. Very nice GIP. Really big pods for a rocopica and you say good flavor too. Definitely sounds like a winner! All the Morugas and Brainstrains you can Imagine. Zapotec is on my list for next year. IMO everyone who likes milder peppers should try the Starfish at least once too. 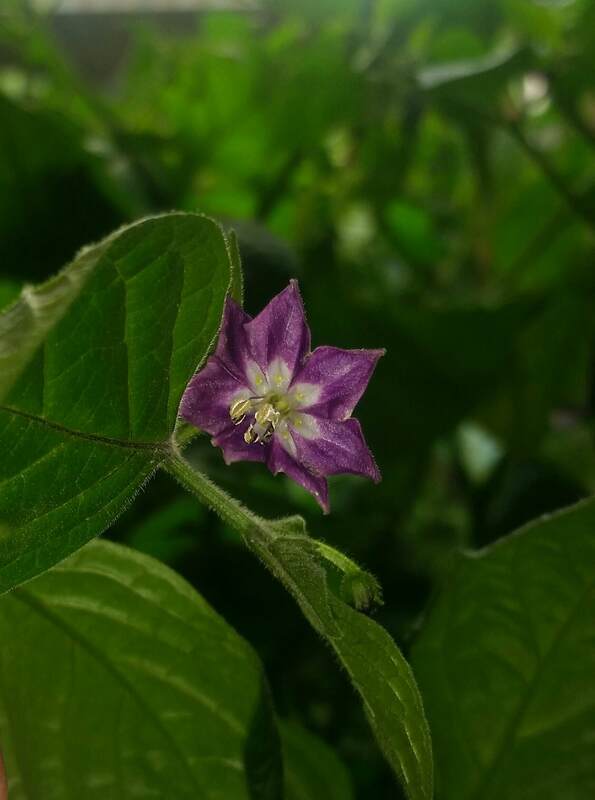 Really delicious pepper. 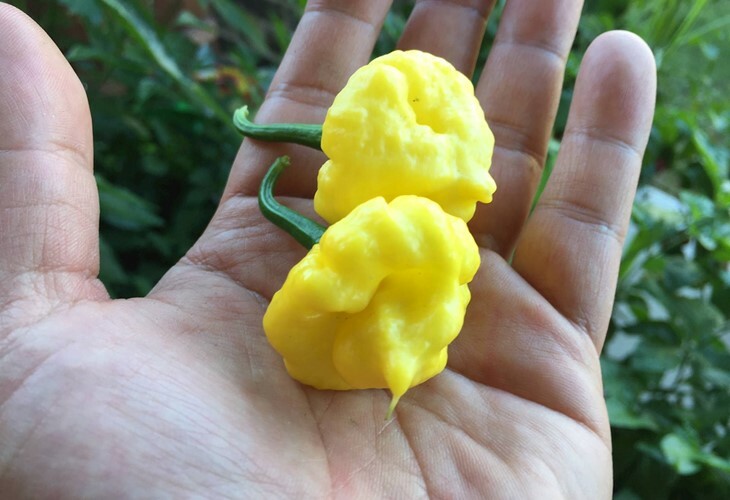 Last year i grew my first ghost only as a novelty and i got it cheap. Turned out i loved it. I thought it was just gunna be hot with not much else going for it. So now i got to try the Brown Bhut from Trent too. I think he said the original seeds traced back to pepperlover and they no longer sell them. 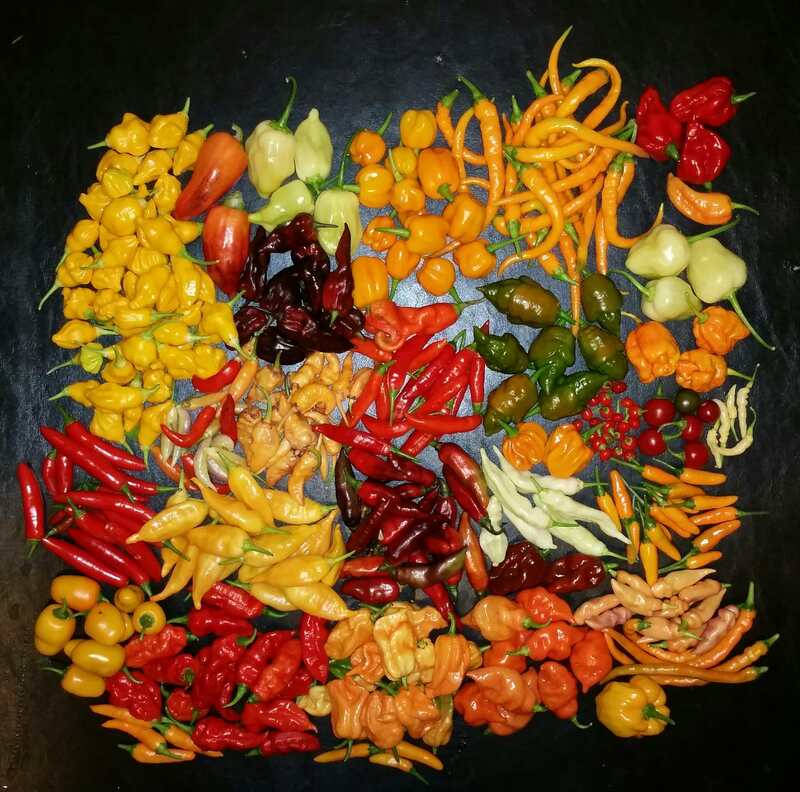 Those brown bhuts were from my original seed stock - the seeds I used were 5 years old. I couldn't get any browns that I ordered from buckeye to sprout, 6 trays with zero germination rate. 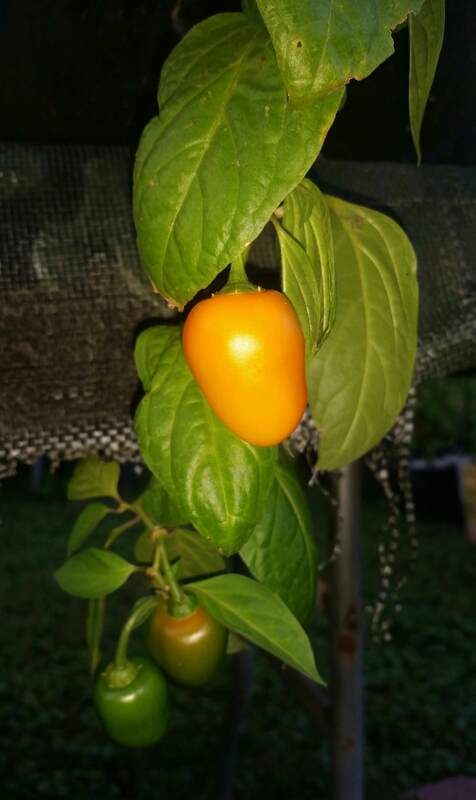 So I seeded some that I'd had set aside from a pepperlover order in 2013, and lo and behold.. the few I had left all sprouted. They are STUPID hot. I don't know what the hell she crossed them with but MAN those are nasty. Edited by ShowMeDaSauce, 31 January 2019 - 03:17 PM. How many plants of each did you have to get that many at once? 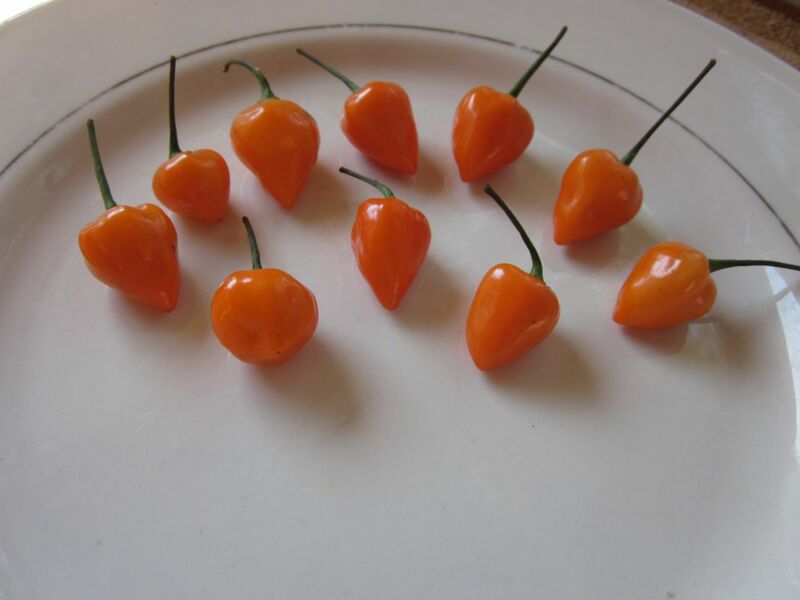 May not be exotic but I find the Pumpkin Habanero a must for a very fruity pepper in the mid range. most of them predictably lower heat peppers are grown at the in-law's house though, along with his tomato collection and i generally don't get pics of them as often but will try to get more this year. This goes for anyone; feel free to look back at my older stuff and learn with me. While i do not think i am the best teacher at all. i do feel that there is some things to learn in my older Glogs. and i learned a lot originally when i first discovered this place from reading other peoples Glogs. Will try my hand at Clavo Red. It's hard to pick just one!